Our Fort Myers / Cape Coral dumpster rental services helps provides an affordable price point with optimal customer service. We will make debris disposal and junk removal, the easiest part of your upcoming project. With projects ranging from home clean outs, remodeling, garage clean outs, yard waste, etc... We can help dispose of almost everything. 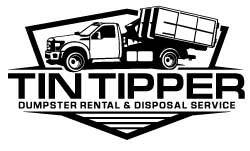 Call Tin Tipper today at 239-677-3525 today and rent one of our cheap residential safe dumpsters that’s easy to use, the right size, and most importantly affordable. We currently stock 3 sizes. Our bin rental sizes are 11, 15, 20 cubic yards. We make it easy to order with no hidden fees. No delivery, pick up, or fuel fees. Our customer service oriented personnel will make sure your container rental gets delivered on time, and exactly where you need it placed. You do not have to be home at delivery or pick up, our personnel will contact your via text or phone call to confirm placement when on site. 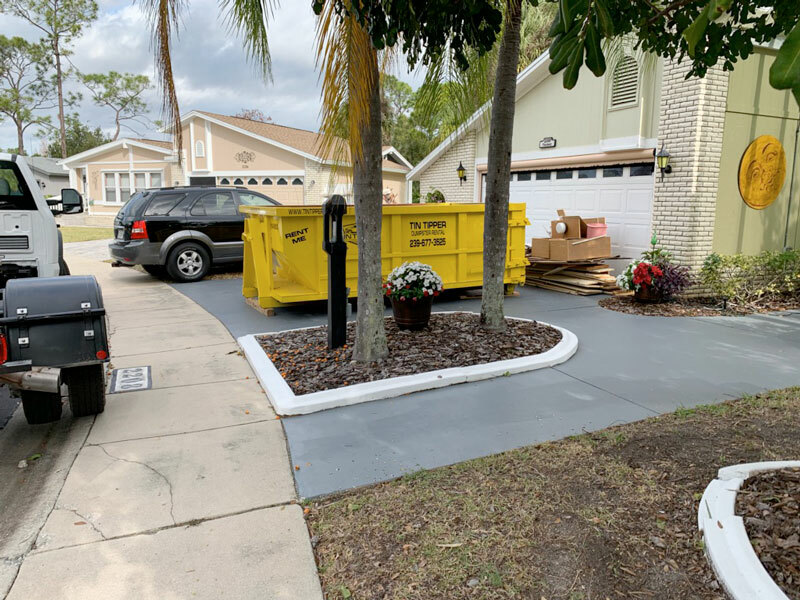 Making your dumpster rental in Fort Myers has never been more convenient, renting from Tin Tipper Dumpster Rental is the right choice. Our Cheap Dumpster Save You the Most Money! 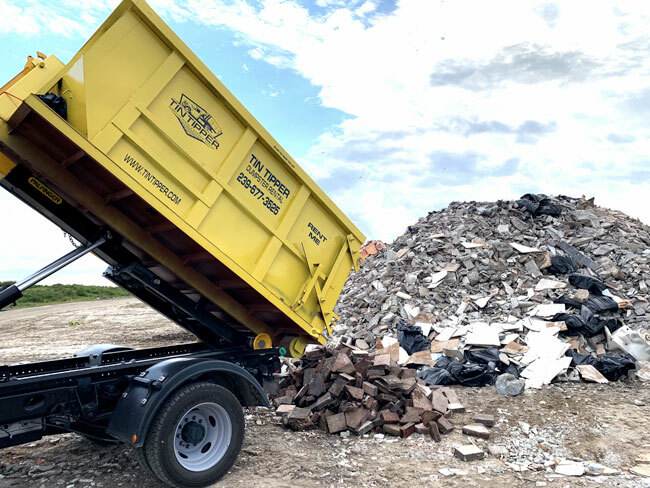 Tin Tipper dumpster rental services in Cape Coral / Fort Myers offers the greatest value for your next project with flat fee pricing and low prices that beat our competitors. Our customers have been very please with the savings that are passed onto them due to our transparent, upfront pricing when placing an order. This makes our dumpster rentals easier to figure out, understand, compare costs versus our competitors. 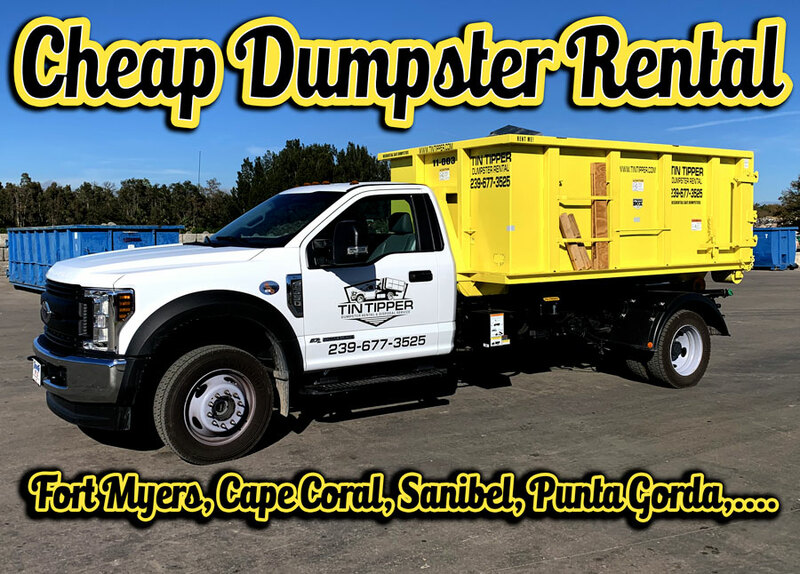 As a result, Tin Tipper provides Cheap dumpster rentals to homes and businesses throughout Fort Myers and Cape Coral on a regular basis. If your in need of a cheap Low Cost Roll Off Dumpster for your next project at the low rates, call us at 239-677-3525. Our dumpsters in Fort Myers are ready to be dispatched and delivered as soon as today! If your garage, home or office is a mess, there is never a greater time to get rid debris and unwanted junk. Removed any unwelcomed waste will free up all of that unused wasted space and make you breath again. Lastly, all of your clutter can be easily removed and thrown into one of our residential safe dumpsters. Call us today and we will provide you with the needed dumpster rental service for your upcoming project. Click Here for our Dumpster Sizing and Pricing Info.